It is estimated that, starting this month rainy season in Bali has been stopped. Starting this month is the perfect time for a vacation in Bali, because the weather is very conducive to travel and visit places of interest in Bali. The rainy season usually occurs in the months of October to April. Rain in Bali will disrupt travel and leisure activities. During the rainy season, tourists will be difficult to outdoors activities. Floods are common in Bali during the rainy season. Not only flooding, beaches in Bali will also become dirty and full of garbage, due to flooding in rivers carrying garbage into the sea, then washed up on the beach. When the beach filled with rubbish, everything looks disgusting and dirty. Current weather in Bali showed signs of early dry season. 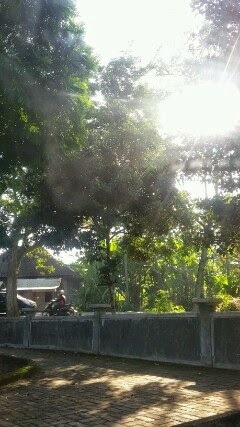 Although the dry season, but Bali is not dry. Because Bali is surrounded by oceans, and have a lot of lakes and rivers. The dry season is the perfect time for a vacation in Bali. Despite the heat, but tourists can calmly and freely explore Bali. Since early May, the weather in Bali showed signs are encouraging. Although the holiday season is in June to August, but the number of tourist visits began to show improvement. Foreign tourist visits increased. Although most tourists are Asian. Bali is one of the best islands to enjoy the beauty of the beach. Bali has many beautiful beaches and enchanting. This season is the perfect time to go to Bali. Friendly weather will impact on the satisfaction of enjoying a holiday in Bali.